“If you obey all the rules, you miss all the fun.” Katharine Hepburn certainly lived up to her famous quote. She broke rules, she had fun, she set her own agenda. During her long and illustrious career, the legendary silver-screen star appeared in at least 30 movies over 60 years and took home a record of four golden Oscars for Best Actress. Glamorous, athletic, and fiercely independent, Hepburn also harbored a passionate and secret relationship with her married co-star Spencer Tracy for 26 years. She even tended to him in his final years of declining health but was unable to attend her lover’s funeral. Today, it’s not unreasonable to wonder why such an unabashed proto-feminist would seemingly subjugate herself to the role of unacknowledged mistress for over a quarter of a century. Why did the Hepburn-Tracy affair last so long? 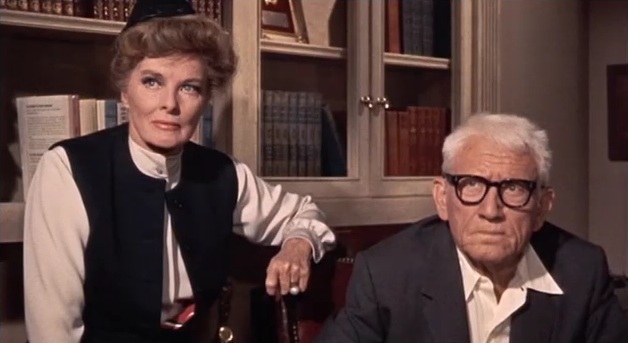 Katharine Hepburn was born in Connecticut in 1907 to a doctor father and a feminist mother. Planting the seeds of independent intelligence that would flourish throughout Hepburn’s life, both of her parents encouraged and expected their daughter to excel in academics, athletics, and any arena she chose. As a young girl, Katharine cut her hair short and called herself “Jimmy.” She ran, swam, bicycled, and played tennis and golf, the latter so well that she won tournaments while in high school. She loved going to movies and staged performances for her family and friends. Hepburn’s early teens were marked by tragedy: at 13, Katharine discovered her brother’s death by suicide. In their typical upper-class fashion, her parents urged her to get over it and move on, but Katharine had a hard time returning to “regular” life. Eventually, at her mother’s urging, she attended Bryn Mawr College. There she found solace in acting while getting into the kind of trouble you’d expect from someone with a fierce sense of her own destiny. She once got suspended for smoking in her room. It was during those years she met Ludlow Ogden Smith, whom she married in 1928. But she was more invested in her career than in the relationship, and by 1934 they were divorced. Interestingly, the two remained friends until his death in 1979. She later had relationships with Hollywood power brokers Leland Hayward and Howard Hughes—both of whom proposed marriage, though Hepburn ultimately declined. Straight out of college, Hepburn pursued a career in theater, taking roles on Broadway and in summer stock, though some directors and critics found her “odd” look and “shrill” voice so off-putting that she was fired from several productions. Undaunted and unintimidated, she landed her first movie role in 1932 and held her own opposite the much more famous John Barrymore in A Bill of Divorcement. Shortly thereafter, she took home her first Academy Award for her role as Eva Lovelace in Morning Glory (1933), though she didn’t attend the ceremony, and would only attend the gala once, in 1974, to present a lifetime achievement award. 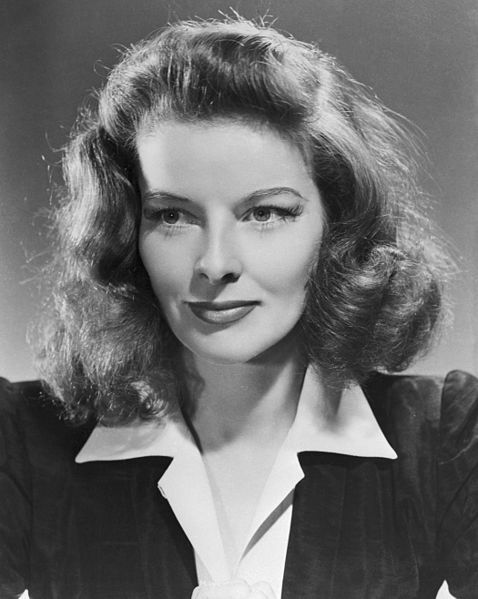 Many people equate Katharine Hepburn with the socialite Tracy Lord, one of her early defining roles in the critically acclaimed box-office hit The Philadelphia Story. Like many actors, Hepburn was an introverted extrovert. She loved the perks of fame but resented any intrusion into her privacy. She didn’t like the press or the demands of public attention, declining interviews and autograph sessions (she would’ve loathed requests for selfies). The tabloids called her “Katharine of Arrogance,” according to A. Scott Berg’s biography Kate Remembered. 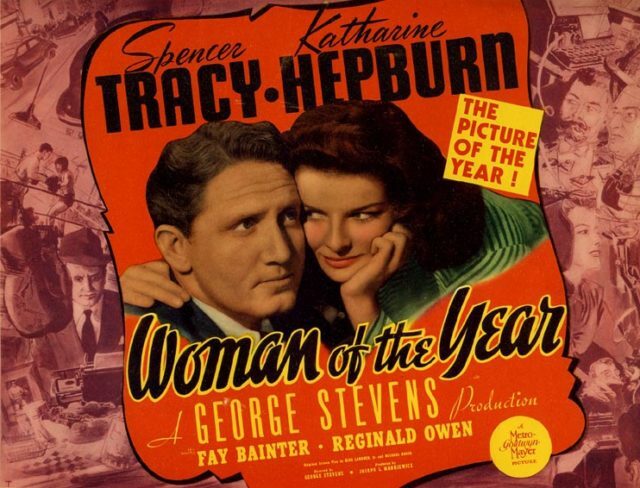 It was on the set of Woman of the Year in 1942 that she got involved with her co-star Spencer Tracy, then 41 and married to Louise Treadwell, whom he would never leave. The script, full of articulate banter characteristic of the era, highlighted their evident oppositional attraction, providing heat for the screen and their own private affair. 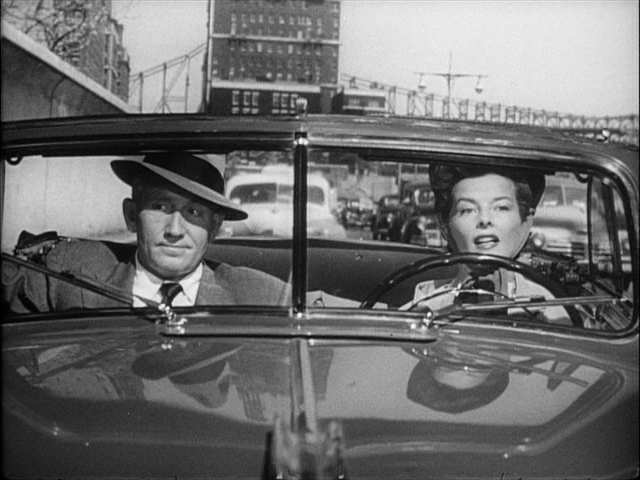 Pat and Mike (1952), written specifically for the pair, was her favorite of the nine films they made together. From the outside, theirs was a curious relationship: Sure, he was Hollywood handsome, but he was also a drunk and depressive. Usually so strong-willed and self-involved, Hepburn would become almost submissive around him, tending to his needs and obeying his wishes. A guilt-ridden Catholic, he would never divorce his wife and abandon his family. 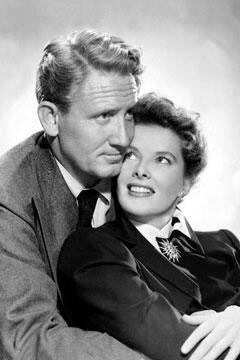 When he became ill with heart disease in his last years, Hepburn even moved in with him to care for him. After his death, she didn’t attend his funeral and never publicly acknowledged their relationship until the death of his wife, in 1983. In their last movie together, Guess Who’s Coming to Dinner, they played parents dealing with their child’s interracial romance—a radical concept at the time. In obvious ill health, Tracy was battling heart disease, and the stress of performing while caring for his health put stress on them both. He died 17 days after filming his last scene, on June 10, 1967. When Hepburn won her second Academy Award for the role, she said it felt like it was a tribute to them both. While Hollywood is historically unkind to aging actresses, Hepburn continued to act and her defining characteristics came into sharp focus as she grew older. Her role as undaunted Ethel Thayer opposite Henry Ford, 74, in On Golden Pond garnered her as record fourth Academy Award. Some called it a sentimental win, as much a symbol of her longevity in the business as an award for a stellar performance. A sweet and poignant movie, it’s easy to imagine that this is how she would’ve preferred to live out her last years with Tracy. Hepburn died June 29, 2003, aged 96 years old.